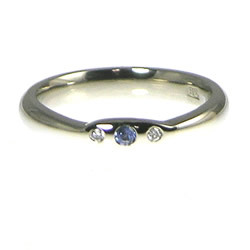 This delicate engagement ring measures 3mm wide apart from where it nips in to about 1.5mm either side of the three invisibly set stones, giving this modern design a slightly classic edge, emphasising the stones like a traditional engagement ring. 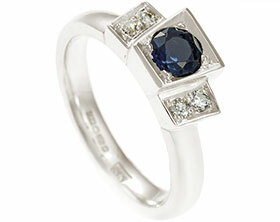 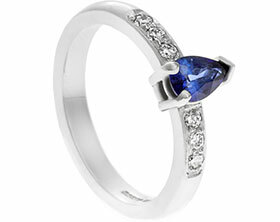 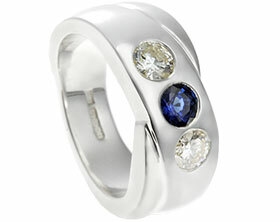 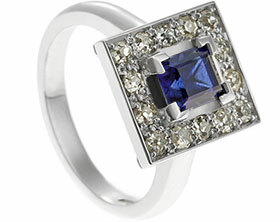 In the centre of this ring is a 2mm (0.03ct) brilliant cut blue sapphire and a pair of 1.5mm (totalling 0.03ct) H SI brilliant cut diamonds. 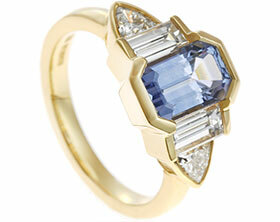 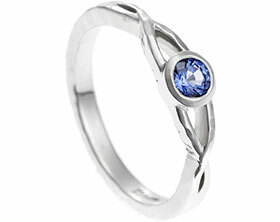 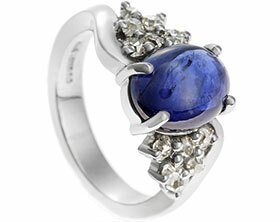 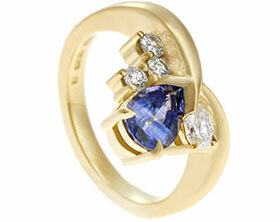 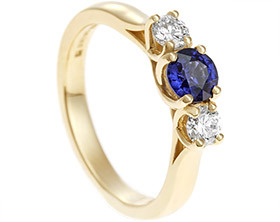 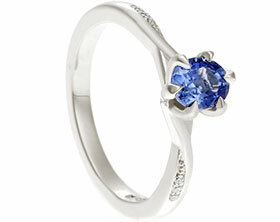 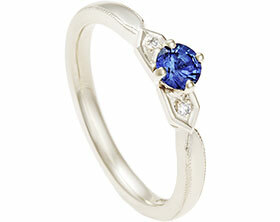 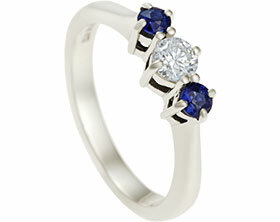 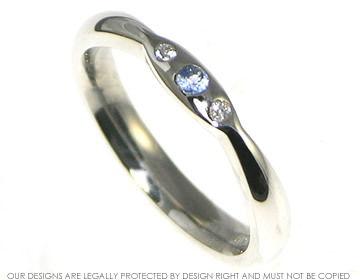 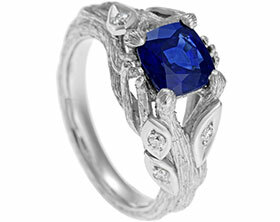 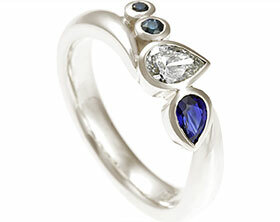 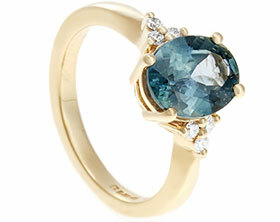 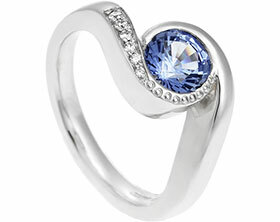 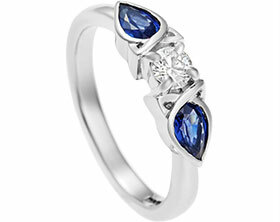 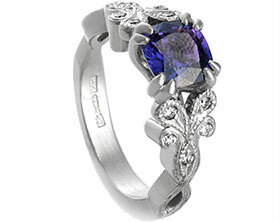 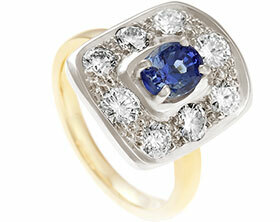 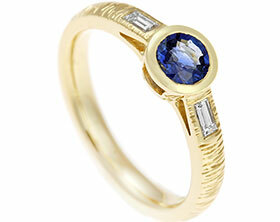 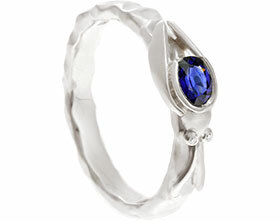 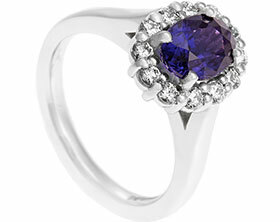 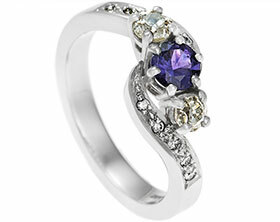 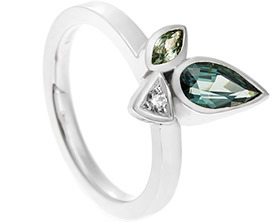 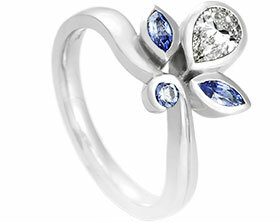 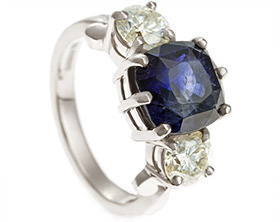 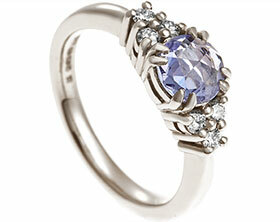 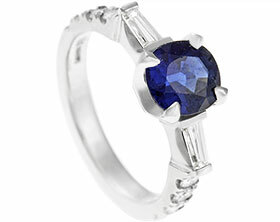 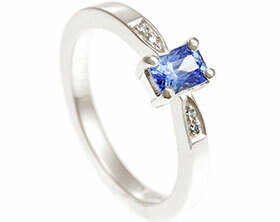 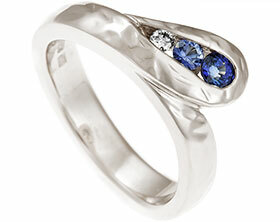 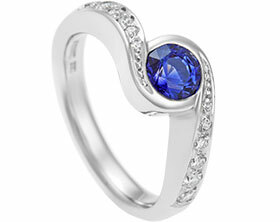 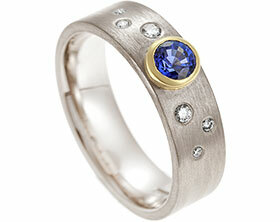 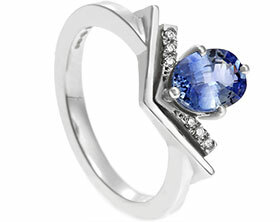 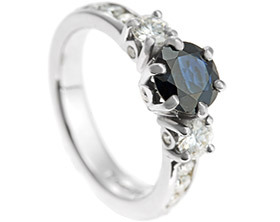 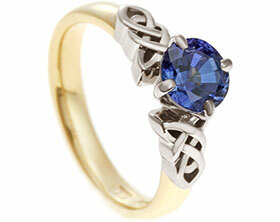 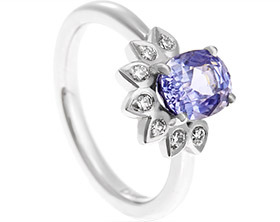 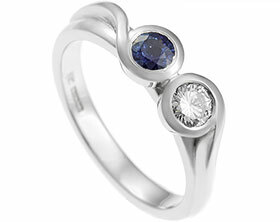 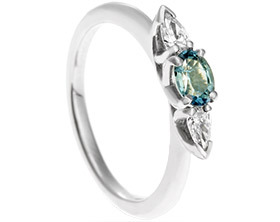 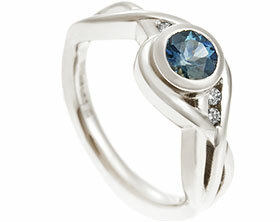 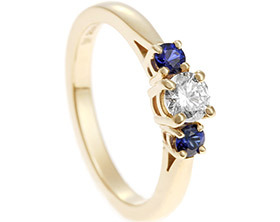 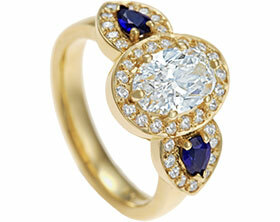 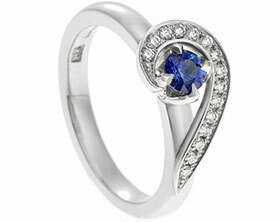 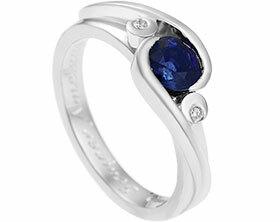 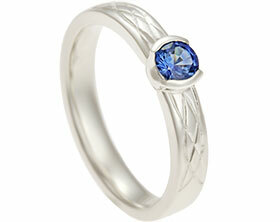 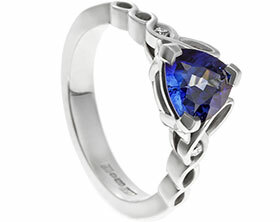 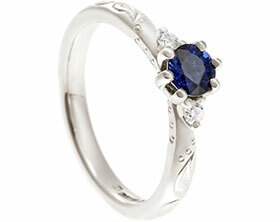 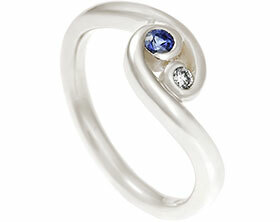 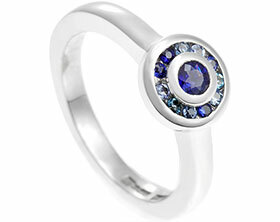 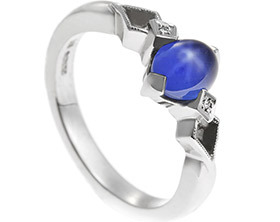 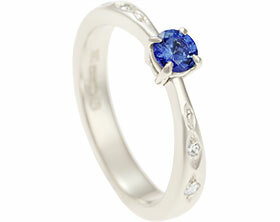 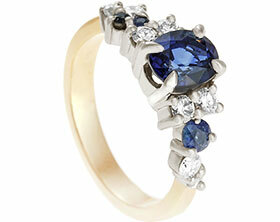 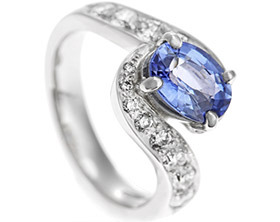 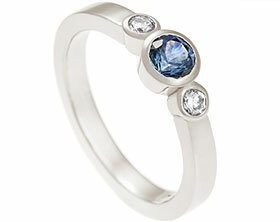 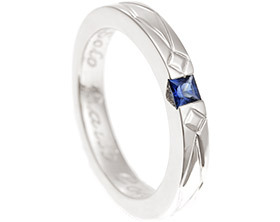 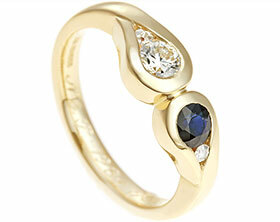 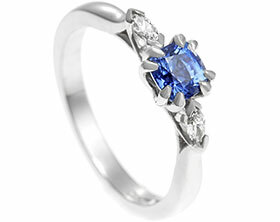 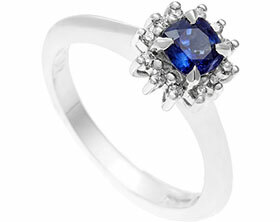 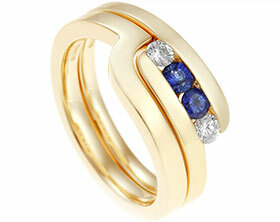 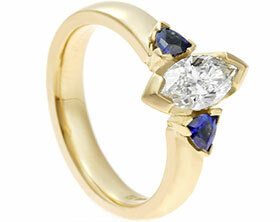 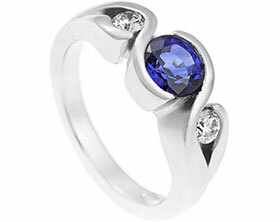 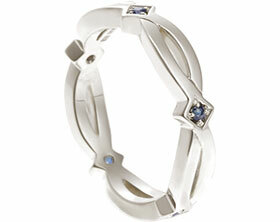 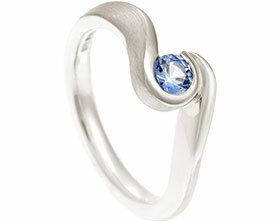 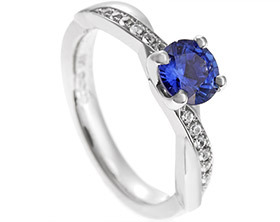 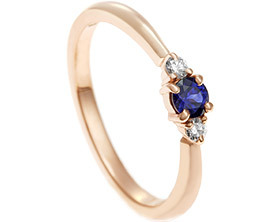 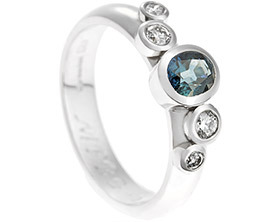 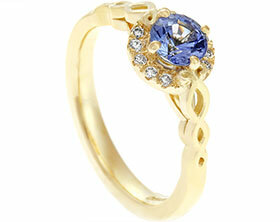 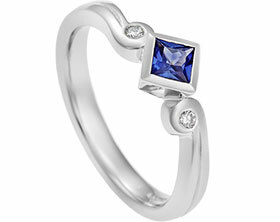 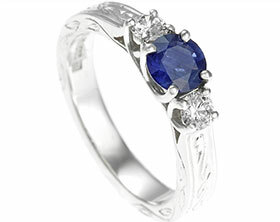 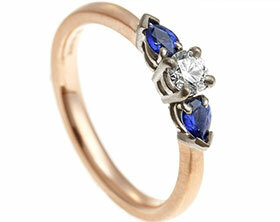 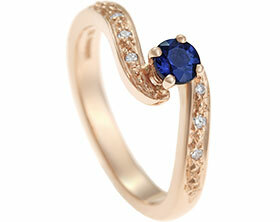 This ring has a courting profile and a polished finish.